A brief grammar guide concerning the usage of “to” after the verbs “let, make”and three nice exercises practicing the structure “Complex Object without “to”.Ex.I.Complete the sentences.Use to let,to make,to be allowed,to be made.Ex.II. Insert "to" where necessary.Ex.III.Complete the sentences with suitable words.Enjoy! 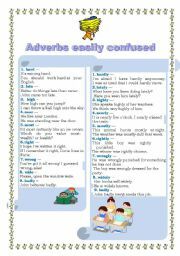 A brief grammar guide (very informative) and two nice exercises practicing the order of adverbs in the sentences: Ex.I.Complete the sentences using the items in brackets in the right order.Ex.II.Complete the sentences using the adverbs in brackets in the right place. (The keys included).Enjoy! 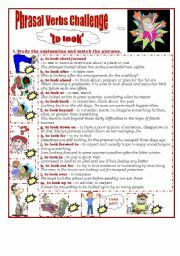 Phrasal Verbs Challenge "to look"
Three sets of exercises: 1)Study the explanation and match the pictures. 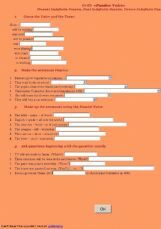 2) Choose the correct answer.3) Fill in the phrasal verbs given below in the correct form. (The keys included).Enjoy!!! 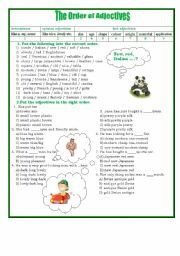 Phrasal Verbs Challenge "to take"
Three sets of exercises: 1)Study the explanation and match the pictures.2)Choose the correct answer.3)Fill in the phrasal verbs given below in the correct form. (The keys included). 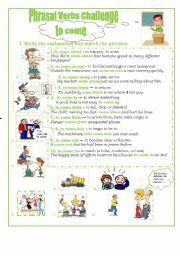 Phrasal Verbs Challenge "to put"
Three sets of exercises: 1)Study the explanation and match the pictures. 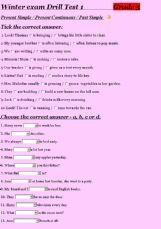 2) Choose the correct answer.3) Fill in the phrasal verbs in the correct form. (The keys included).Enjoy!!! This grammar-guide will help your students see the difference between hardhardly, latelately, wrongwrongl,etc. 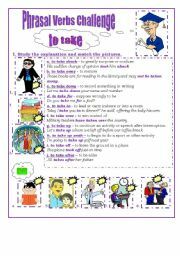 Phrasal Verbs Challenge "to come"
Three sets of exercises: 1)Study the explanation and match the pictures. 2) Choose the correct answer. 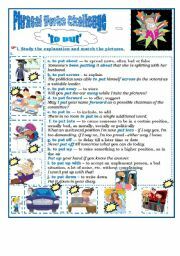 3) Fill in the phrasal verbs given below in the correct form. (The keys included) Enjoy!!! Common Nouns: countable and uncountable; singular and plural. 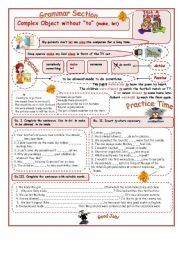 Short explanation-revision of the material, four drill exercises (2 pages) +keys + additional material for teachers (2 pages). Enjoy!!! Personally I admire this country. The purposes of this ppt are 1)to tell about Ireland , its features and the history; 2)to tell about the capital of Ireland – Dublin; 3)to tell about celebrities of the country; 4)to show how beautiful Ireland is and why I love this country. Active or Passive? Present, Past, Future Simple. Drill exercises. 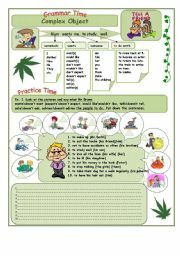 Three sets of exercises: 1)Choose the correct verb form. 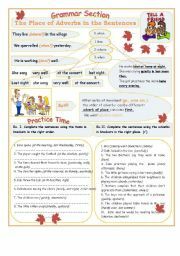 2)Put the verbs in brackets into the correct form.3) Open the brackets using Present, Past or Future Simple Passive. (The keys included).Enjoy!!! The aim is: to acquaint the public with the history of ´The Beatles´. The purposes are: to allot the main periods of the history of the group; to share out the special features of the creation of ´The Beatles,;to expose the reasons of the break-up. Enjoy! A quiz, including a set of 20 questions covering different aspects of history, literature, geography,education and monarchy of the country. The ending of the set. Two sets of exercises concerning the names of famous people, their nicknames and places, connected with them. I.See how easily and quickly you can find the missing names in the sentences below.2. Discuss the answers to these questions. Supported with a ws. (The keys included). Enjoy! 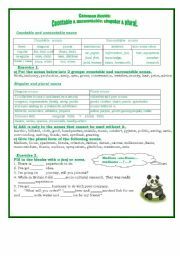 This exercise will help pupils to practice the usage of positive, negative and interrogative passive structures.